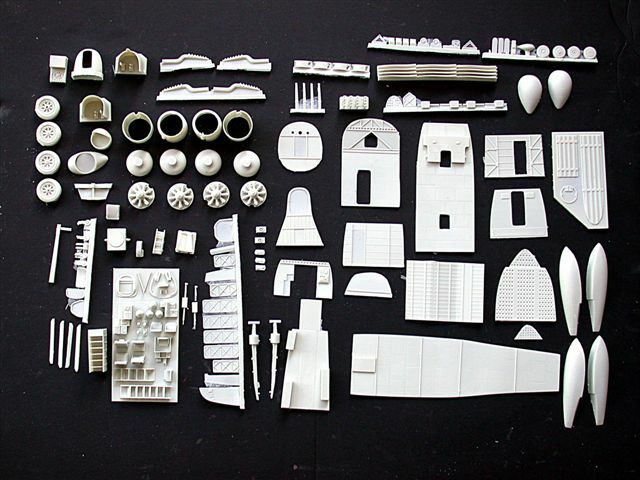 Advantages: Great representation of a famous subject; good detail; cleanly-molded; largest components are hollow-cast; beaching gear included. 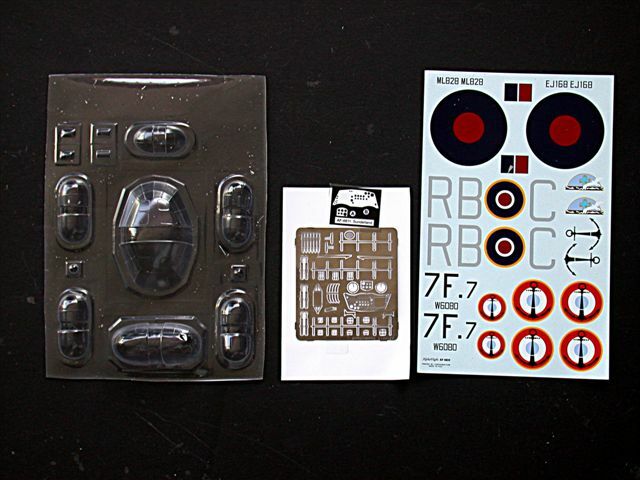 Righteous bucks; no convenient provision for window transparencies; resin parts prep for numerous small components cast on one large sheet; unclear optional version parts use. The Shorts Sunderland series of flying boats was the last and unarguably best-known family of large British R.A.F. flying boats to participate in World War II, and the type soldiered on for many years (into the late 60s in New Zealand service). To this curmudgeon’s recollection, the only kit of this famous design has been an injected one in 1/72 by ol’ reliable Airfix. Leave it to the eclectic proclivities (1/48 Predator UAV, for instance) of Alpha Flight’s Italian master modelers to release, as Ed Sullivan used to say, a “realllly big,” all-resin Sunderland. 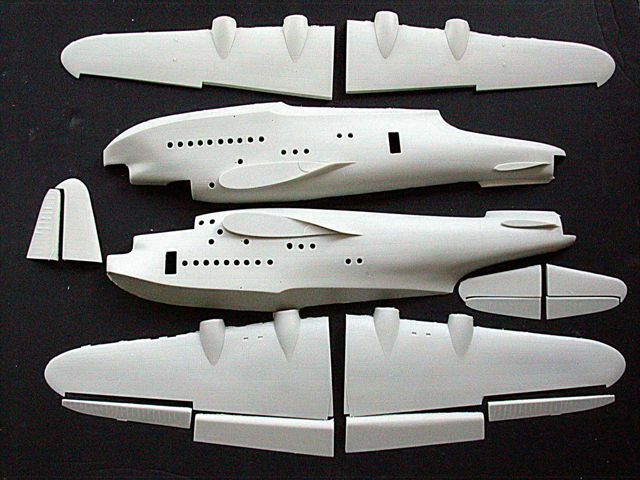 To my knowledge, the only other firm currently producing such large resin aircraft castings would be Collect-Aire. The Sunderland’s large fuselage and wings are hollow-cast which keeps weight relatively low–you ought to feel how heavy the solid 1/48 wings of the Collect-Aire RB-57 are–and, at the same time, helps to prevent resin “droop” over time. Separate flaps and ailerons are one-piece solid-cast, as are the horizontal and vertical fins. 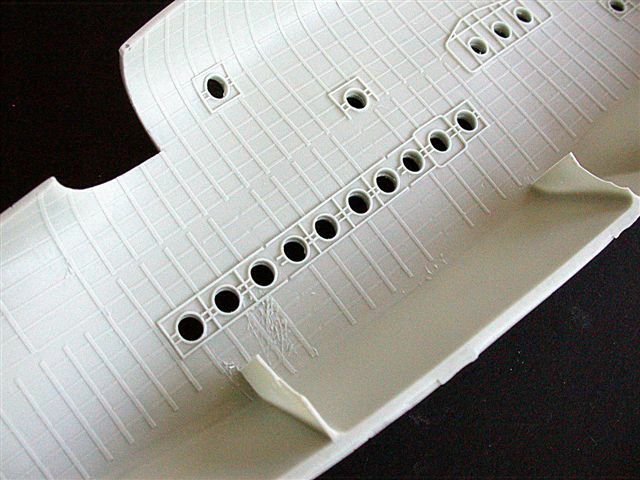 Stabilizers and rudder are separate and therefore easily posed by the modeler. Very crisp detail and smooth surfaces (not glossy, though–which ees no problemo when we’re not talking NMF!). Engraving is nicely restrained and very neatly executed. Because of the large components, pouring spigots are also hefty and require moderate labor to clean up. No warpage noted. The inner surfaces of the fuselage halves are covered with simulated ribs and longerons, and a substantial group of structurally detailed bulkheads and floors await assembly. Sadly, even with the large number of windows, it will be difficult to see these details, other than the cockpit area. Fairly detailed, with PE instrument panel (film instruments behind) and seatbelts. I do wish AlphaFlight had cast the wealth of small resin parts individually rather than all together on one monolithic sheet (see pic). The vacuformed pieces–two copies of each component are included--are thin (too thin in a few instances; one gun turret arrived irretrievably “dented”) with nice framing definition between panels. There is a slight cloudiness to all transparencies (because of the grade of plastic stock used, IMO, and I don’t know if Future will improve the appearance). The parts pictorial shows 39 window transparency outlines on the vacuform sheet; they’re there, but so faintly imprinted as to be practically invisible. Anyone undertaking the monumental job of manually cutting out these disks is IMO a real “practice bleeder”. I plan to tape over the external porthole openings with clear packaging tape and pour clear casting resin from the inside; it’s a scheme that’s worked well with my Anigrand C-124; the result was totally flush, very clear tranparencies . 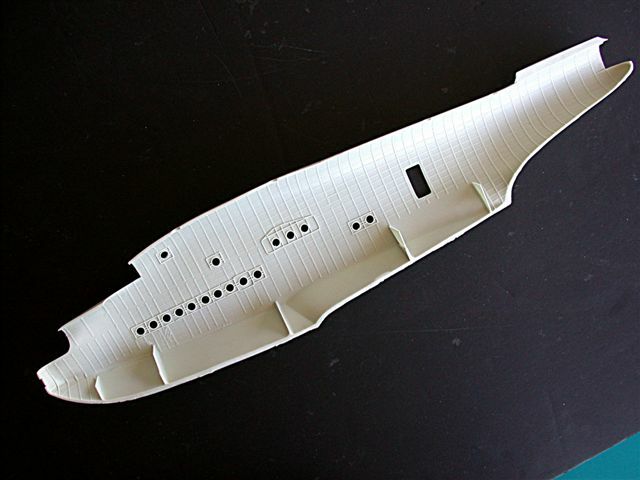 An alternate scheme would be to use a high quality single hole paper punch to manufacture the portholes. I tried out this scheme, and the size disks produced are almost exactly correct, so close that white canopy glue would easily tack them in. If the hole in the resin is a bit small. It’s easy to gently ream the diameter with a Number 11 Xacto blade. It’s the old familiar cylinder-row-molded-against-the-firewall trick. The cylinders and ignition wires are very sharply cast. The cylinder row/firewalls are properly spaced within the cowlings by resin fairings glued to the nacelles. Exhaust manifolds are the long, “porcupine” night operations style; later “horn”-types are not offered. Prop blades must be individually mounted to each spinner. Gun assemblies are not badly detailed, but could’ve used some PE ammo belts. The individual resin machine gun barrels are so tiny that it’s going to be tough to mount them to the gun breeches. Very small diameter stainless tubing may be the better way to go, unless cast metal substitutes can be obtained. The earlier version “forest” of Yagi antennas is done in PE and resin. No diagrams are provided to assemble the four vertical antennas on the empennage spine. Optional late-model radar teardrop fairings (these obviate the need for the Yagi “forest”) attached to the underside of the wings are provided and make for a much cleaner airframe. Your choice. Don’t’cha just hate it when the manufacturers of a nice flying boat don’t include a decent way to display the model other than “floating” in a bath of blue-tinted resin? Not so in this case, ‘cause Alpha Flight’s done a very nice beaching assembly: two forward struts and an aft trolley. Sharply printed isometric exploded assembly drawings are nice, but nowhere do the instructions define (in textual form, at least) the differences between what in the drawings are termed “Options 1, 2 and 3." 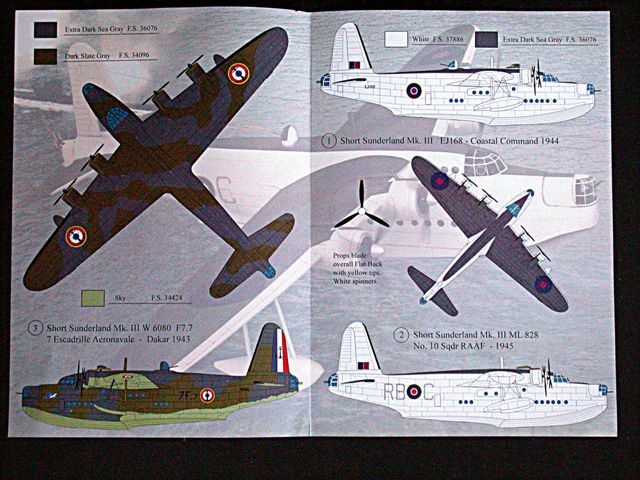 The short lead-in historical section only tells about the Sunderland Mk l, II and III, not about the differences (such as the Mk III A) within the Mk III family, which, after all, is what the kit is purported to be. Perhaps my kit is missing some printed material. Three options: French service and two North Atlantic (Extra Dark Sea Gray over White) schemes. The sheet is sharply printed, colors are vivid and the decals seem appropriately thin. The large three-view color (F.S. numbers given) artwork is excellent. F.S. numbers are also included in individual assembly steps.